Get your mitts ready and watch your swing motor out of the blocks. Soft hands are fast hands. The trick is to sufficiently secure the club in your paws without having to tense your wrists and forearms. A boost in finger and overall hand strength can help. Start by making a fist with both hands (top photo, below). Squeeze hard until your knuckles turn white (five seconds should do). 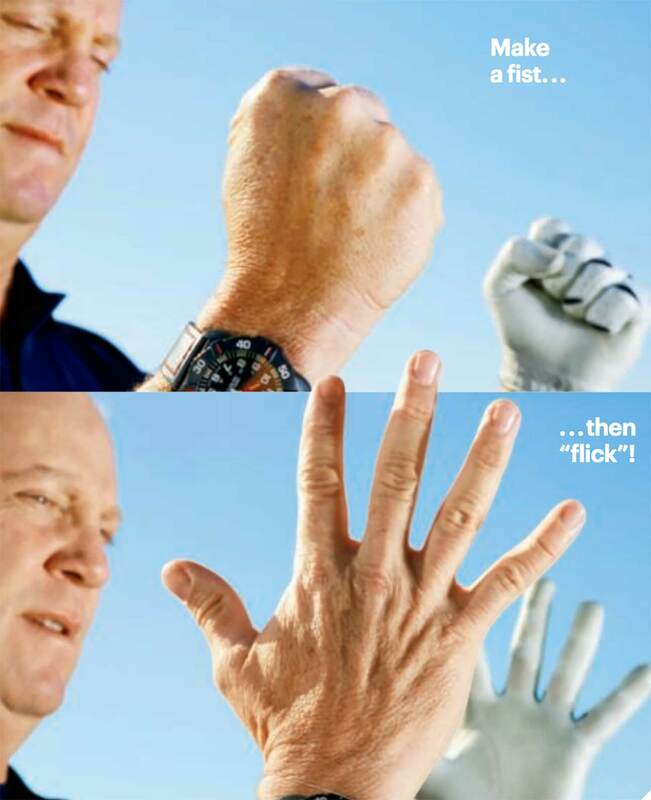 At that point, rapidly "flick" your fingers, splaying them upward and outward (bottom photo). Hold for a few counts, using the muscles in the back of your hands to pull all 10 digits as far back as they can go. Do 10 reps — you'll feel the burn from your fingertips to your elbows. Cradle two balls in your right hand. Using your fingers, roll them clockwise in your palm, as if they were Chinese Baoding balls (left photo, below). Rotate the balls as fast as possible without having them pop out of your hand. Seems simple, but the exercise rapidly boosts your finger flexibility and dexterity. After a minute or so, switch directions, rotating the balls counter-clockwise. Not as easy, right? That's fine — improving your focus and coordination leads to better swings. Make sure to work your left hand, too. Bring your fingers and thumbs together, as though you were holding a tiny hamburger in front of your mouth. Pressure each digit against its opposite, then slowly allow your fingers to splay outward (right photo, below). Do it slowly, feeling the muscles and tendons in your hands, wrists and forearms tense. Bring your palms to a close, then work backward into the splayed position and ultimately your starting point, maintaining pressure the whole way. Do 20 reps before your pre-round warm-up, while sitting at your desk or while watching TV. I do about 100 a day. Your fingers can't ever be strong enough in this game.